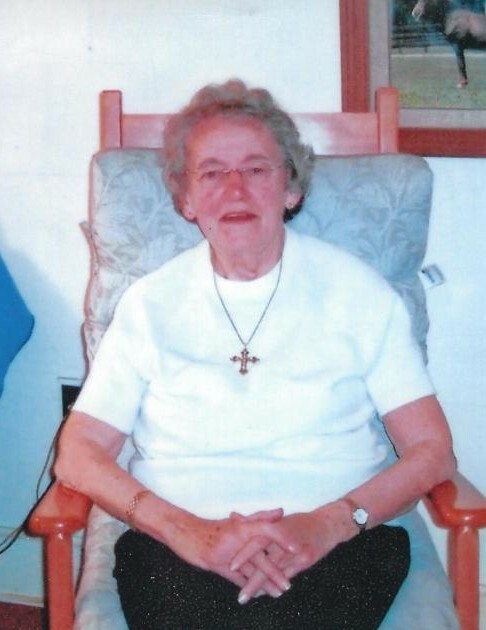 Portland-Phyllis Marie Price, 91, passed away peacefully at Saint Joseph's Rehabilitation & Residence on Tuesday, November 20, 2018. She was born December 23, 1927, the daughter of Hollis Mills and Olive Irene (Waterman) Price. She attended Portland and South Portland High Schools graduating from South Portland. Phyllis worked for Unum for 38 years and also spent 44 years volunteering at the Victoria Mansion in Portland. Phyllis enjoyed attending worship services at the Stevens Ave Congregational Church, Traveling, knitting, collecting dolls and tea sets. She is predeceased by her parents and four brothers Harold, Arthur, Charlie, and Kenneth. She is survived by one brother Richard Edward Price of Portland. Richard would like to Thank the staff at St. Joseph’s and also Southern Maine Hospice for their excellent and loving care they provided to his sister. No services are planned at this time burial will be in Forest City Cemetery in South Portland.